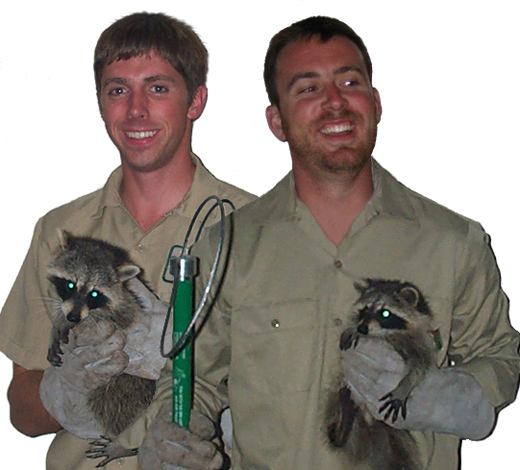 About Us - Information about Our Hennepin County Minnesota wildlife removal experts. Fully licensed by the Minnesota Wildlife Commission. Should you feed a stray dog or cat? When you have found a stray dog or cat, you want to care of it before you can get it to the shelter or ensure it has been rightly returned to its loving owner. However, if there is a period of time where you may be expected to care for the animal, or need to get it to think of you as more of a friend if it scared and you are trying to refrain it, food could be your biggest helping hand. There are two sides for the argument of whether or not you should feed a stray dog or cat. On the one hand, you can’t be too sure of the original owners intentions, whether it is on a special diet or food plan, whether it has intolerances to food etc. In much the same way that you wouldn’t always feed a baby without first consulting the mother, you shouldn’t really feed a stray dog or cat, in case the owner does not approve of what you have fed it. It can actually be dangerous for the animal, especially if you aren’t a pet owner yourself as certain foods that humans can eat are actually dangerous for cats and dogs. However, on the other side of the argument, you cannot expect a stray animal to just come running to you; negotiations will have to take part and one of the best ways to negotiate friendship with an animal is with food! The only problem with feeding stray cats and dogs food is that they will often associate you with feeding and keep coming back. This might not be a problem if you have just found a dog or cat that you are going to give back to the owner, but if it is a stray that doesn’t belong anywhere, you are likely to find the cat pawing at your back door every morning, and you will end up adopting the critter, regardless of your intentions. You will also have your other pets to consider as well. If you start feeding strays, they may help themselves to the food that you would feed your own animals and this will start fights. The process is simple – you feed the pet, it wants more, you don’t give it more, it could get angry. It could end up being a vicious cycle and once you have invited the animal in, it can prove to be rather difficult to get rid of it! If you do have a heart of gold and would love to help these stray animals, your best option is probably to try and take the stray to the shelter, or at least see if you can get one of the shelter employees to pick the animal up. Then you can make a donation to the shelter itself in order to make sure that the animal is well fed. You do want to help the creature as much as possible, but at the same time, you don’t want to risk harm or injury to yourself, your children, or your other pets, and you can never be one hundred percent sure of how the stray animal is going to react or what diseases it may have. Go back to the Minneapolis wildlife removal home page.